EXPANDED Podcast Ep. 34 • The Process 2 — To Be Magnetic™ | Manifest the life you deserve for less than a dollar a day. The forest house is almost complete and we had most of the TBM™ team up to celebrate and retreat. 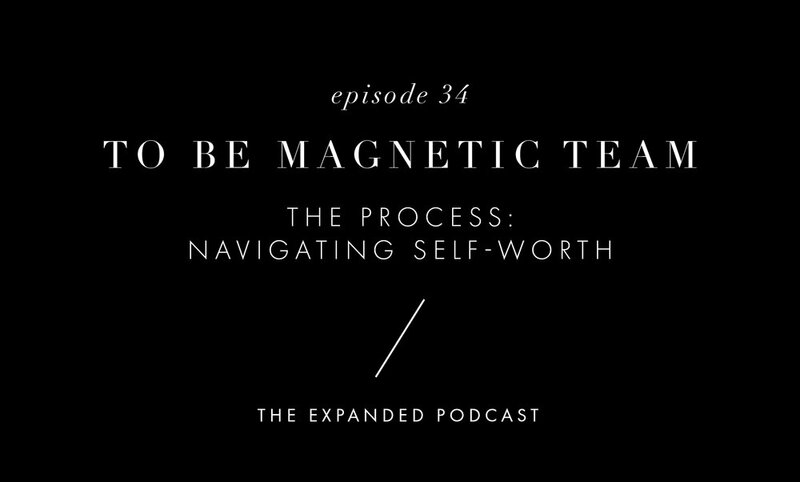 While together, we decided to host a “The Process” episode discussing the theme of the month: self-worth. With a team of freelancers, we all share how we source, build and support self-worth within career. We're so excited to see how helpful these Process episodes have been for our listeners, and we’ll continue releasing these episodes to help expand you and guide you in your own manifestation practice! MON | Learn quick ways to prepare for prosperity in spring. WED | We’re demystifying the top manifestation myths surrounding full moons. FRI | Tune into last week’s podcast episode with psychological astrologer Dani Beinstein.